When the sun shines, there’s nowhere better to go racing than at the Isle of Man TT Races – and, boy, is the sun shining! The first timed practice session has just finished and whilst the Island is continuing to welcome a steady flow of visitors, expected to increase considerably as the week wears on, there’s a very relaxed mood up in the race paddock. Good weather equals good practice equals happy riders. There’s nothing worse for the riders than losing a couple of nights practice due to bad weather. With track time crucial for fine tuning the 200bhp Superbike monsters around the ferocious Mountain Course, as well as making the Supersport and Superstock bikes as good as possible, it only takes a couple of cancellations for the panic button to be well and truly hit. The tension and nerves rocket dramatically. Fortunately, it looks very much like we’ll miss that scenario at TT09. With a mini heatwave hitting the UK, the Isle of Man is no different and the forecast for the next five days, at least, promises more of the same. And that should mean we get to see some mightily impressive lap times. The opening session was untimed but it did give the riders the opportunity to reacquaint themselves with the bumps and jumps, and twists and turns, not to mention the ridiculous high speeds, of the 37 and three quarter miles after 12 months away. One man who’s seen it all before of course is John McGuinness and the TT legend continues to be one of the most relaxed men in the paddock. 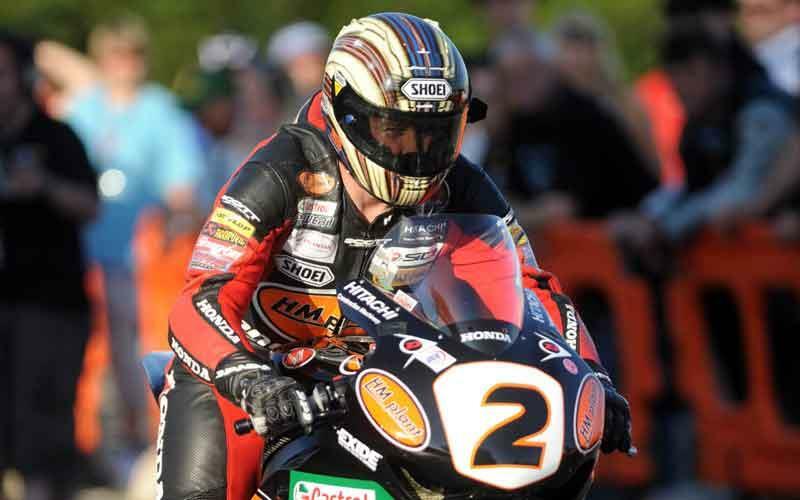 However, even the great man admitted of nerves kicking before he set off for his first lap of TT09 and, as he succinctly put it, ‘I’m just about to put my helmet on and hit the bottom of Bray Hill at 150mph, you’d be nervous wouldn’t you?’ Err, yes John, I would. Bricking it more like! This will be my 20th visit to the TT, the first coming back in 1978 when just three years old, but it never ceases to amaze me what goes on around this hallowed course. Whenever you drive round the course, you can’t help but be mesmerised by the phenomenal ribbon of tarmac and you simply can’t get your head around the fact that those magnificent men and their flying machines are able to do it in 18 minutes and under. Scary, yes, unbelievable, perhaps, awesome, without doubt. Of course, the TT is now home to some of the very finest riders in the world, a statement I have no qualms about making. Sure, put them at Mugello and they’d struggle but you simply can’t compare the two disciplines as every rider has their own speciality and the likes of McGuinness, Cameron Donald, Guy Martin and Bruce Anstey choose the public roads to display their talents. Every rider here has achieved great heights and almost 20 newcomers set off on Saturday night for their first taste of the action, each one dedicated to the cause, both on and off the bike, and each one a fine example of the modern day racer. Indeed, the race paddock is now a picture of professionalism, state of the art machines and the very best support, a true International event and, make no mistake, it IS the greatest road race in the world. McGuinness did 128mph on Monday evening and if he’s doing those speeds on the second night, the lap record is going to be totally obliterated. The anticipation is building nicely. We keep talking about the standard of competition being red hot but it’s no exaggeration – take a look at the top 15 riders and every one of them is a potential race winner. Hiding places don’t exist here. Of course, the TT is also the most dangerous road race in the world and whilst we all have our favourites who we want to win, most of all, let’s hope it’s a safe, enjoyable fortnight for each and every one of them.